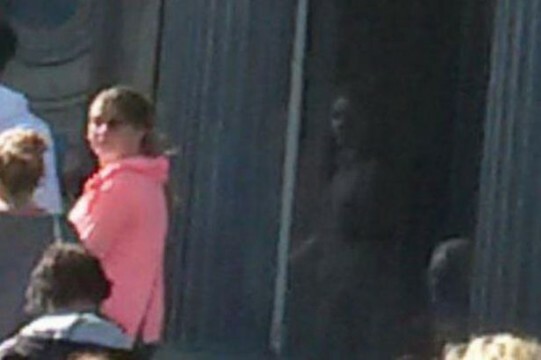 Picture of a spirit taken at Loftus Hall by a tourist travelling in Ireland. 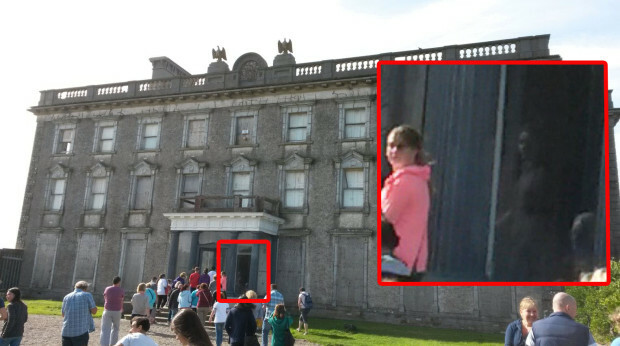 Loftus Hall is a well known haunted location. Notice how faraway the actual picture is and it's only when you zoom in that you can see it. Taken by T. Beavis.